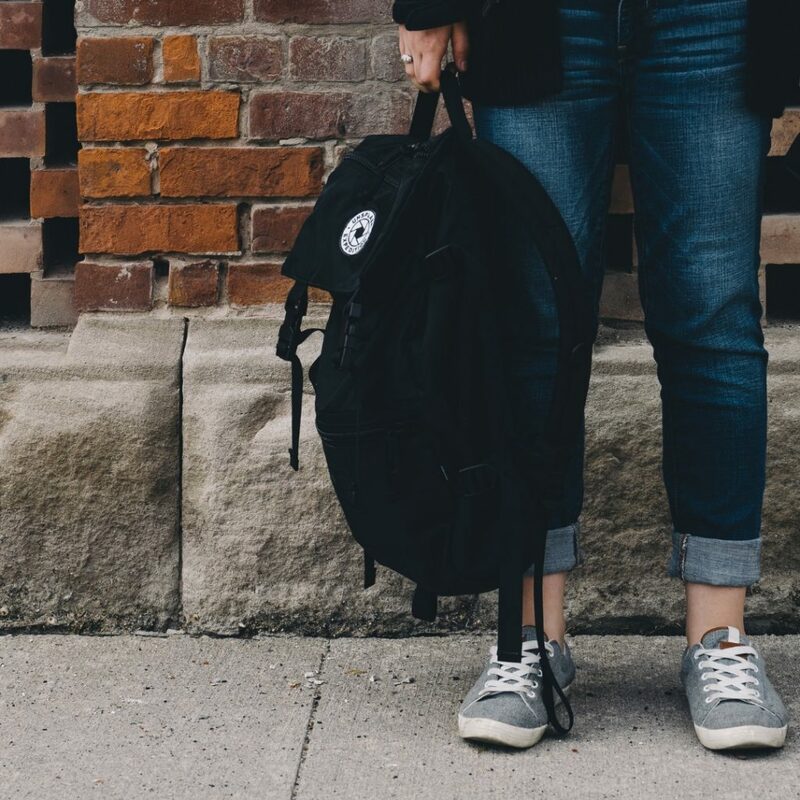 Hey Students, I know it’s still the middle of January, and preparing for the start of Uni may be the last thing on your mind; but what if a few minutes’ work now can help you save lots of dollars, that you can put towards your dream trip / job interview outfit / coffee budget? What I mean is, using Booko – and also Booko’s Alerts feature – to help you find the best prices for your textbooks. Academic textbooks can be breathtakingly expensive – a single title can be over a hundred dollars, so imagine how much your entire list will cost! 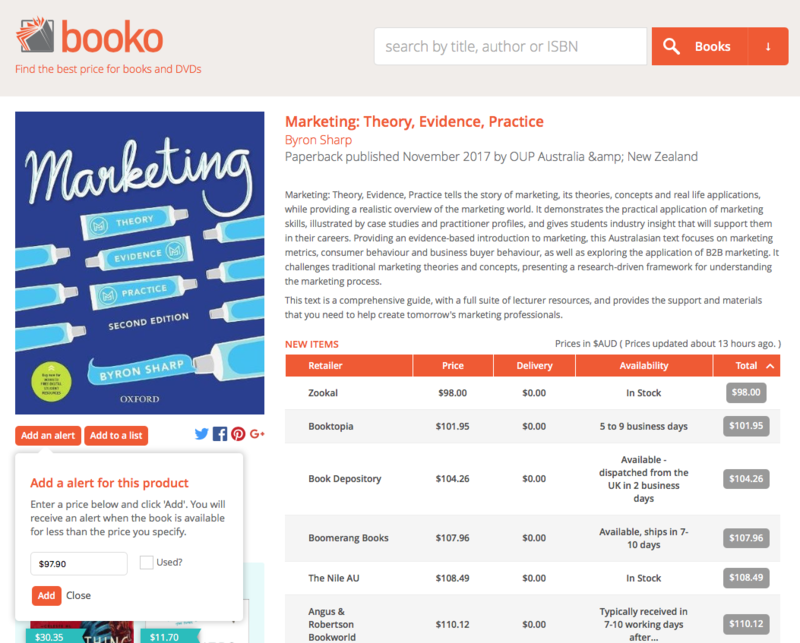 You may have used Booko before to check prices for popular titles or gifts, but Booko can also be used to search for specialist or academic texts. All you need to do is type a book’s ISBN into the main search box (this ensures you are searching for the correct edition) and away you go. 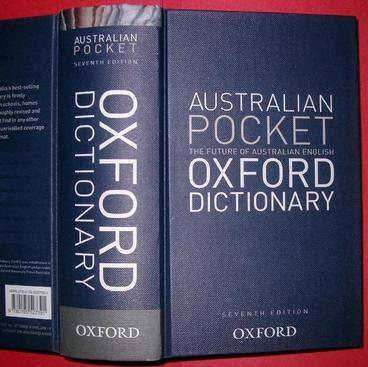 Booko can find most books, whether they are e-Books, Reference books, Fiction or Non-Fiction. And since Booko can locate used copies, you may be able to save even more by buying second-hand! Booko Alerts is a set-and-forget feature that emails you as soon as a price falls below the current (or a specified) level. Just click the Add an Alert button directly below the Cover Image on the left side of the page. Nominate a preferred price, type in your email and the Alert is set. Now all you need to do is wait for the Good News email! For more detailed instructions on Booko Alerts, click here for a step-by-step guide. To give you some idea of the sort of savings achievable through Booko, here’s a list of potential savings for some common academic texts. The savings are based on comparing the best price and the prices charged by leading academic bookstores, as found by Booko. 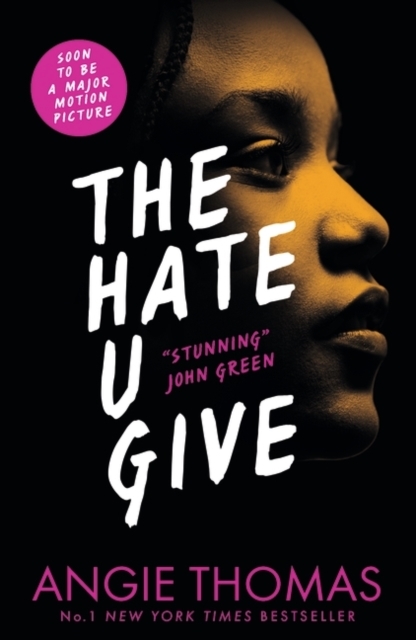 Did you know Spring (in the Northern hemisphere and Autumn in the Southern) is the season when major publishers unveil fiction debutantes to the world of book lovers? This is the first grown-up novel from TV presenter, and founder of Help Refugees, Dawn O’Porter. 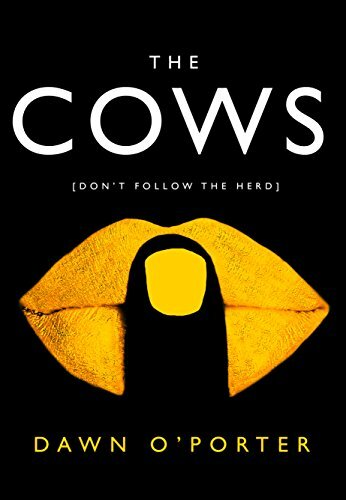 Following on from the success of her Young Adult novels, Paper Aeroplanes and Goose, The Cows is an equally smart and insightful read. It’s about three women, female friendship and feminism. Women don’t have to fall into a stereotype. Tara, Cam and Stella are strangers living their own lives as best they can though when society’s screaming you should live life one way, it can be hard to like what you see in the mirror. 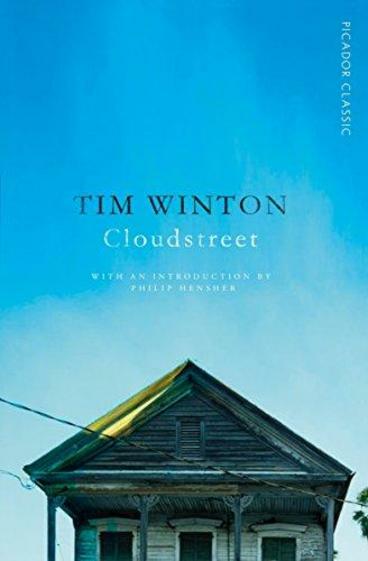 When an extraordinary event ties invisible bonds of friendship between them, one woman’s catastrophe becomes another’s inspiration, and a life lesson to all. Sometimes it’s ok not to follow the herd. 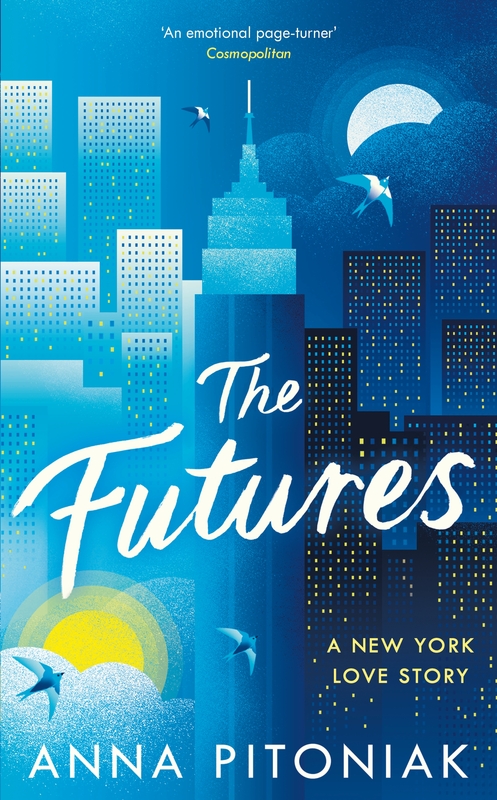 In this fabulous debut novel about love and betrayal, a young couple moves to New York City in search of success only to learn that the lives they dream of may come with dangerous strings attached. Julia and Evan fall in love as undergraduates at Yale. For Evan, a scholarship student from a rural Canadian town, Yale is a whole new world, and Julia, blonde, beautiful, and rich, fits perfectly into the future he’s envisioned for himself. After graduation, and on the eve of the great financial meltdown of 2008, they move together to New York City, where Evan lands a job at a hedge fund. 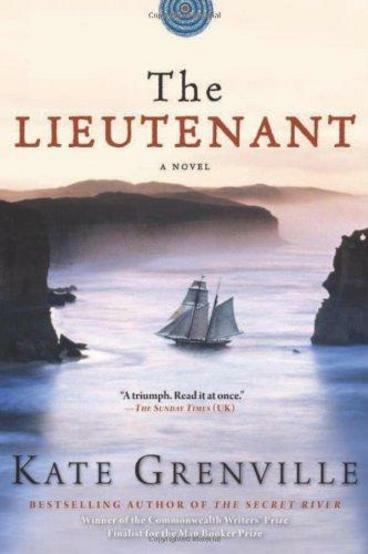 But Julia, whose privileged upbringing grants her an easy but wholly unsatisfying job with a nonprofit, feels increasingly shut out of Evan’s secretive world. 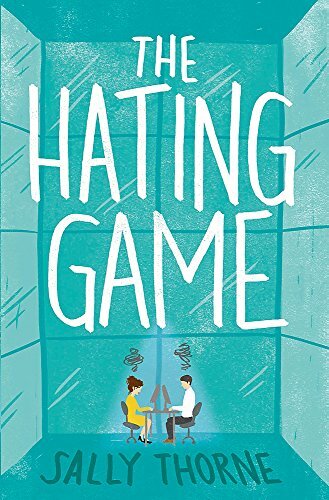 The Hating Game has been described as ‘A brilliant, biting, hilarious new voice that will take the romcom world by storm’. Reviews like that from New York Times bestselling authors is pretty much a super shiny gold star in our books. 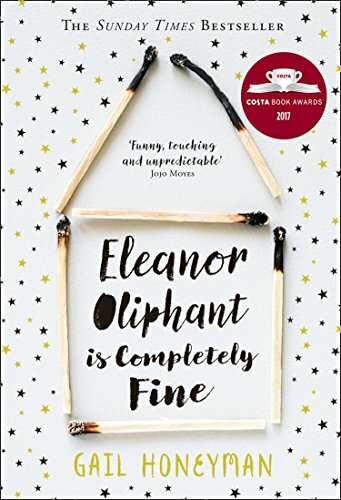 Hats off to Sally Thorne for her debut novel. Lucy Hutton has always been certain that the nice girl can get the corner office. She prides herself on being loved by everyone at work – except for imposing, impeccably attired Joshua Templeman. Trapped in a shared office, they’ve become entrenched in an addictive game of one-upmanship. There’s the Staring Game, The Mirror Game, The HR Game. Lucy can’t let Joshua beat her at anything – especially when a huge promotion is on offer. If Lucy wins, she’ll be Joshua’s boss. If she loses, she’ll resign. If you’re shopping for books or DVD’s online and want to snap up a bargain, searching through Booko is a great place to start. The best way to buy cheap books online is to search through Booko. 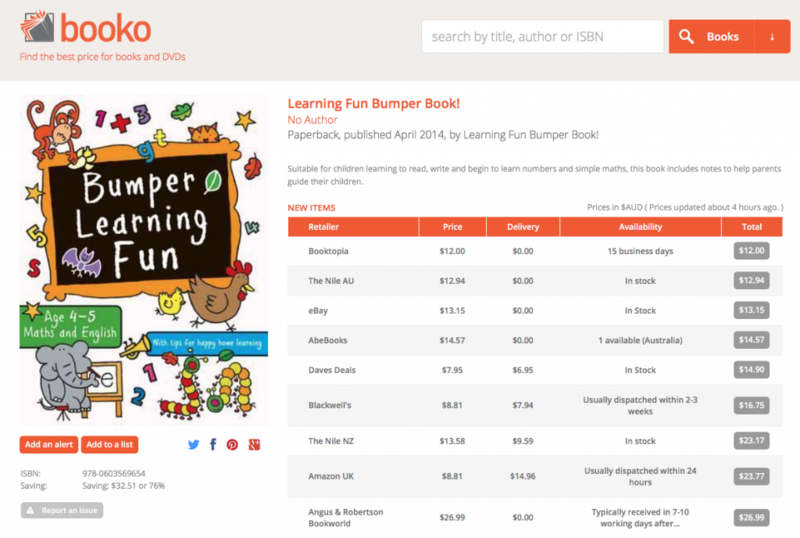 In its infancy, Booko was a web page with a series of small programs collecting prices and calculating delivery costs for a handful of online book shops, to find the cheapest supplier of books. 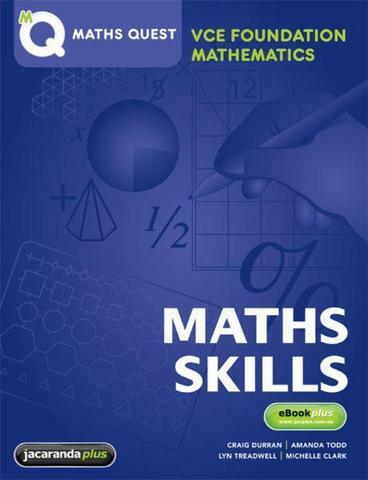 The overarching objective was to find both new and second hand books online as cheaply as possible. When shops which offered free shipping could be added, even better. The Booko alert function is a useful tool that allows you to set the maximum price you would like to pay for an item. 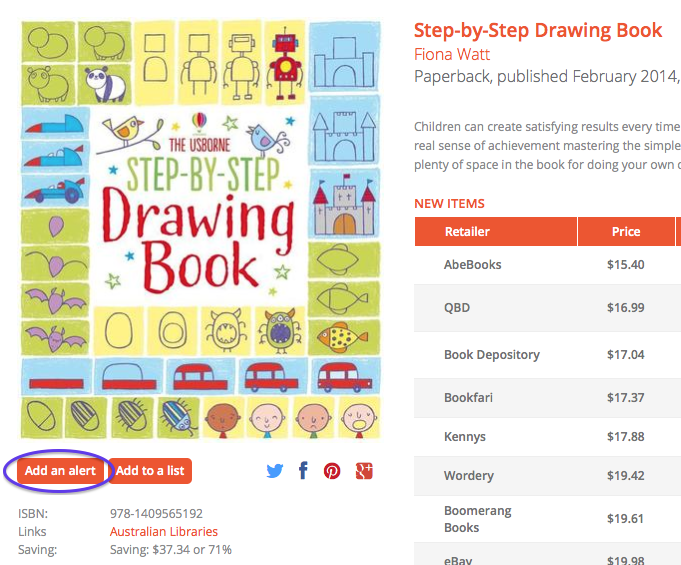 If you are purchasing in advance (such as textbooks or gifts), multiple alerts on books can be set up and be running while you wait for the price to drop. 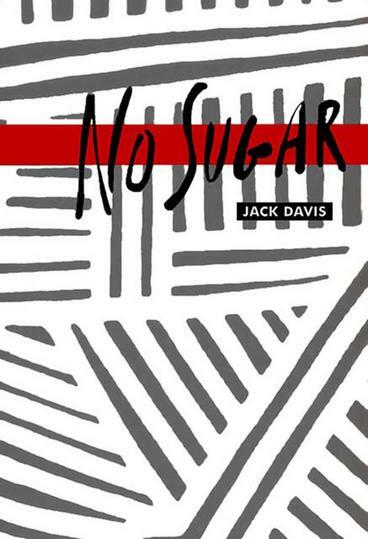 Go to the search box on the Booko homepage and type in the name of the book. 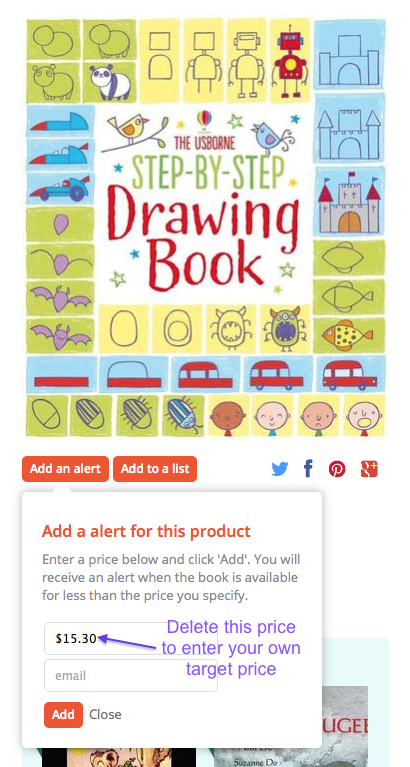 Underneath the book cover art (the image of the book), there are two options: Add an alert or Add to a list. Choose ‘Add an alert’. A box will appear which shows the current best price. You can delete this and instead type in your preferred price. After that, add your email address and click “Add”. No one wants to miss out on a sale. Booko checks the prices of up to 60 online bookstores globally on a daily basis and will email you when the price drops below your specified price. I’ve already set up alerts for books I want to purchase as Christmas gifts for family members. If you are planning on setting up multiple alerts, it makes sense to set up an account to manage them. To do this, simply choose the ‘Register‘ option in the footer. 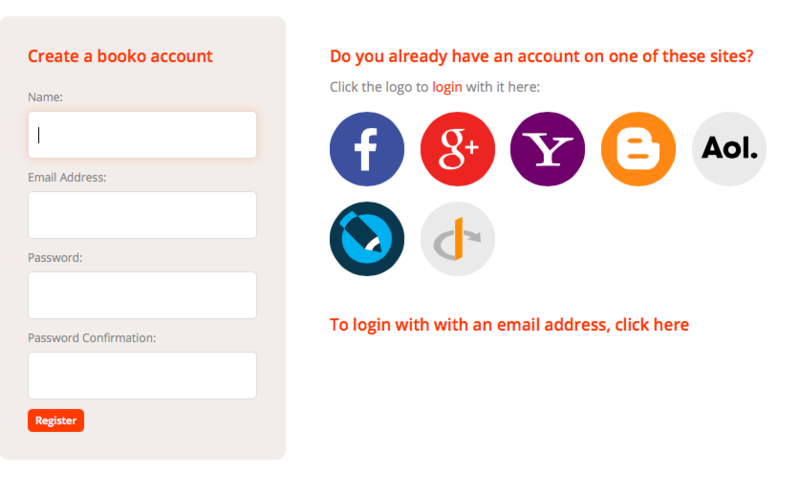 You can complete the form or choose to log in using one of your existing social media sites. So that’s it: If you are wanting to take advantage of price reductions on books (either new or second hand), getting organised by setting up price alerts makes for smarter shopping! The name Black Friday was first used over 50 years ago by Philadelphia police offers to describe the crazy shopping day after Thanksgiving when the city was overrun with traffic flocking to Christmas sales. 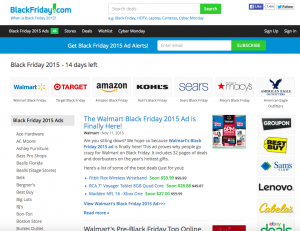 This year, Black Friday is predicted to generate sales of $50b in the US (matching last years sales). While it’s the biggest shopping day of the year in the UK, sales are expected to top £1b. Black Friday is scheduled to take place on Friday, November 27 and a number of retailers have already started promoting their offers in preparation. If you want to do some research prior to the sale, visit this site. 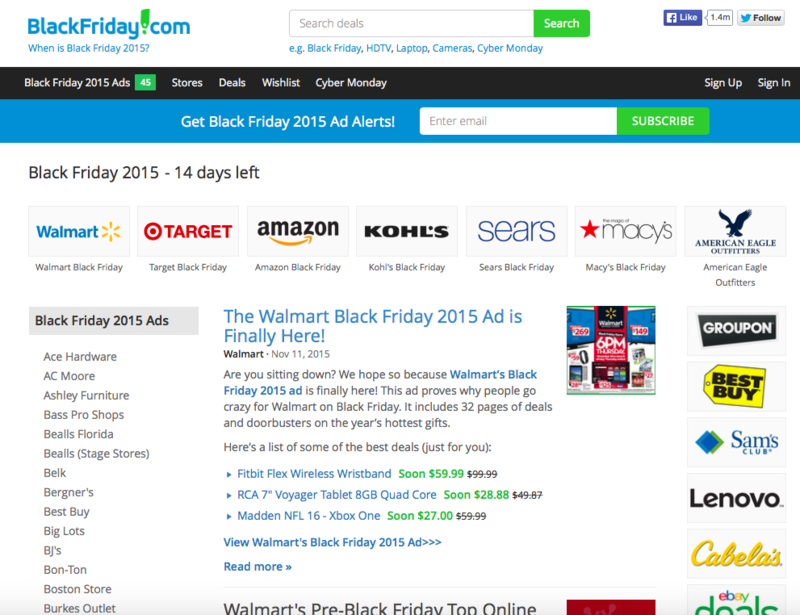 (It’s a US site but can give you a comprehensive overview of who is selling what). 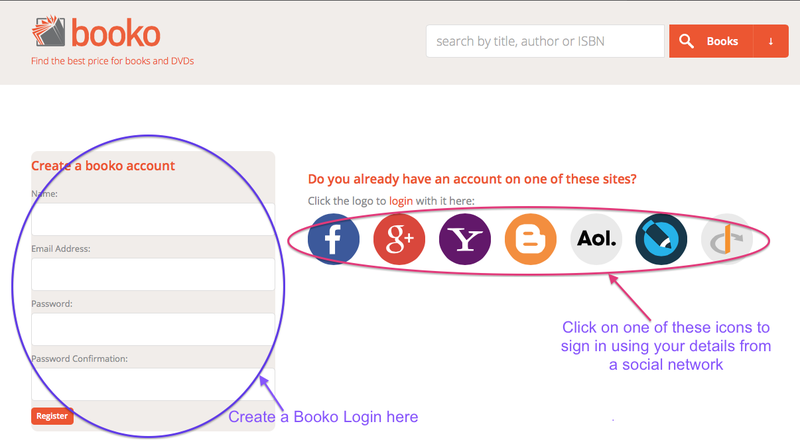 Make a list of all the books and DVD’s you want to purchase using the Booko Lists functionality. Booko Lists is a great tool that can help you to plan and manage your purchases for a one off event (like Black Friday) or ongoing. We’ve written a handy blog on how to use Booko Lists or you can visit the page on our website. If you’ve ever missed a sale on an item you really want, you’ll know that it’s not a great feeling! The Booko Alerts feature can help you avoid that happening to your book purchases. When the price drops on a nominated title, Booko will email you with the new best price. Booko Alerts work for DVDs and eBooks as well as printed books. It is easy to use, and will help you get more out of your money! We’ve written a blog on how to use Booko Alerts or you can visit our website.